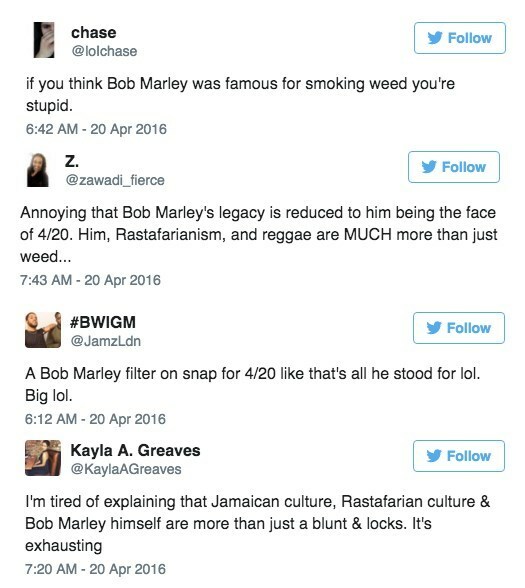 Does Snapchat exhaust you? Are you tired of holding your phone to snap and watch snaps? Are you desperate for a new way? Snap, Inc., the company that was once Snapchat but wants to expand to other products, has expanded to a new product. Meet “Spectacles,” a $130 pair of sunglasses with a camera in them. This isn’t Google Glass, though. You won’t be forcibly removed from a bar for wearing them. Rather these are an unassuming pair of shades with a tiny camera that allows you to snap handsfree. Finally, your fingers can take a break for once. In addition to the new tech, Snap will be releasing the glasses via mysterious vending machines, which appear and disappear without warning. The location of these "Snapbots," as they're called, will be made available on this website. Also, they look like Minions, so, you know, there’s that. Only time will tell if users will save Spectacles to their Camera Rolls or allow time to runout and let them vanish like so many dog-faced selfies. Until then, we’ll keep an eye out for stories of people getting their arms stuck in these vending machines, trying to score a free pair of glasses. If you're a hipster L.A.-girl who likes to skateboard, then the new Snapchat video sunglasses called "Spectacles," are made just for you. As Snap's (formerly Snapchat) first product, they take 10-second (up to 30 seconds) of hands-free video clips you can upload to your account. You can now take video as you do your normal, relatable, routine of skateboarding in an empty swimming pool, skateboarding down the beach sidewalk, or even skateboarding while holding hands in a chain with your hipster girlfriends! For all your skateboarding Snapchat usages, they cost $130 and are being distributed to a select group to hype them at this time. Designed by tech heads, the reviews are mixed as people decide if they actually want to try this one out. Check out the spec's--ahem--specs here, and tell us in the comments below if you'd buy these. 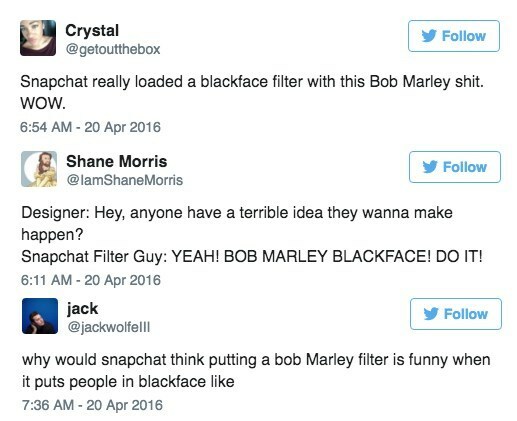 If your parents are unfamiliar with Snapchat filters and perhaps a little "thick", it can be quite easy to mess with them. So, when a child shows up with a square head during a WhatsApp conversation, motherly instincts are sure to kick into gear. As is the case with Rebecca Owen's mother, who was certain her daughter's square head was the result of a food allergy (salmon paste) or even drugs. 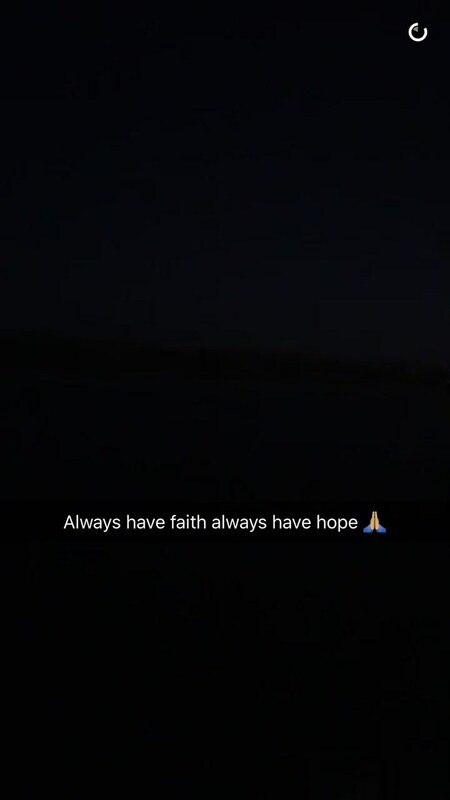 DJ Khaled decided to take a spin on his jet skis at night. That didn't turn out well for him and he got very lost. 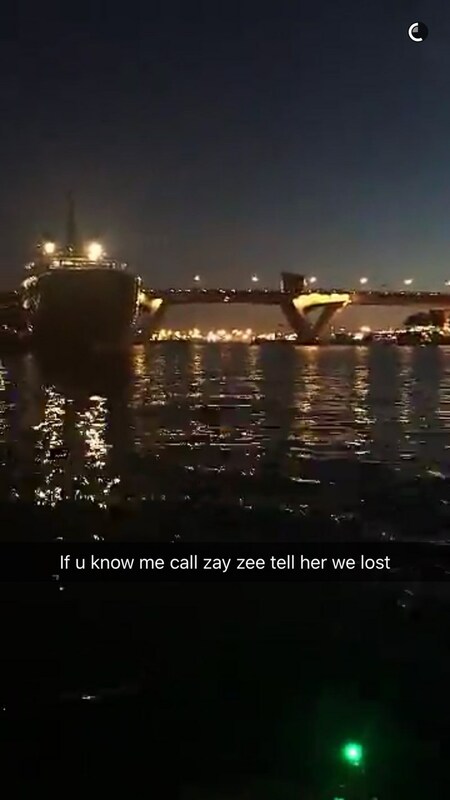 In the face of adversity, he managed to maintain his cool and kept everyone updated on Snapchat. At first he's still near civilization but he realizes he's lost. He uses Snapchat to issue a call for help. 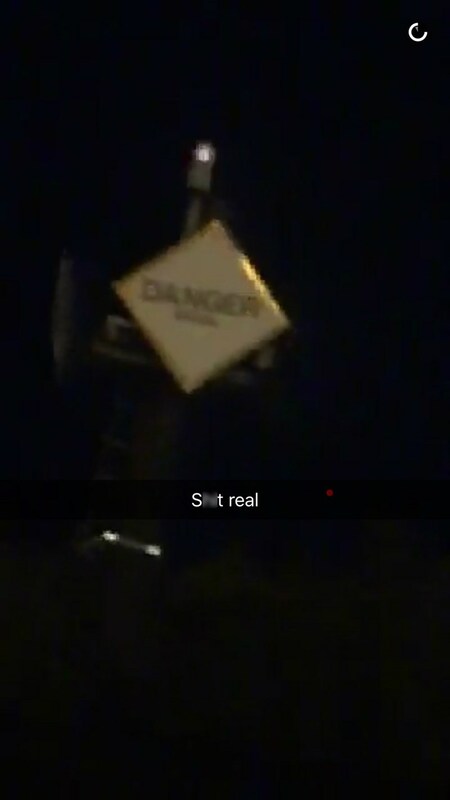 After a while things start to get dangerous. Everything goes dark, hope he's ok.
Luckily, everything turned out fine. 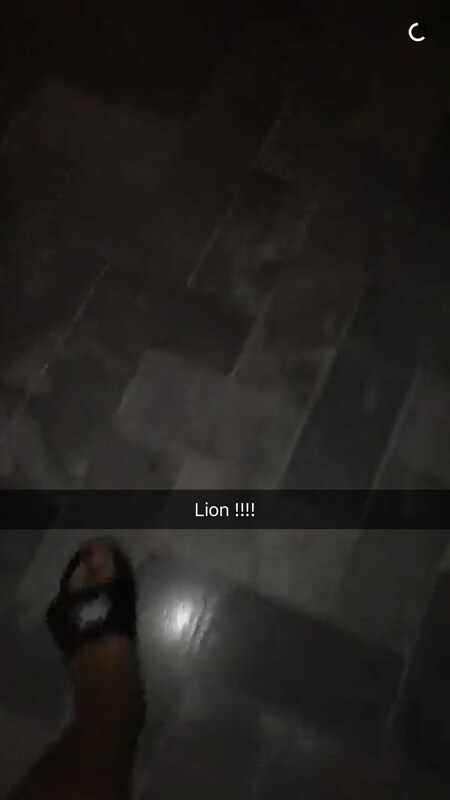 He managed to make it home safe and celebrate his feet returning to the ground! A fiery airplane crash in Ohio that killed all nine passengers on board was captured by one teen who just happened to be on Snapchat at the same time. Paige McVeigh was in her Akron apartment when she captured and tweeted her reaction to the plane crash, which happened in another part of the complex she lives in. The teen can be seen hearing a loud noise, looking toward a bright light and yelling "Oh my God!" before the video ends. WJW reports that the small airplane crashed about two miles away from Akron Fulton International Airport. All nine people on board, two pilots and seven passengers, died on impact. No one was in the portion of the apartment building that was hit at the time of the crash. UFC star Urijah Faber had a very eventful party after a woman stormed into his house, locked herself in his bathroom and pooped everywhere. 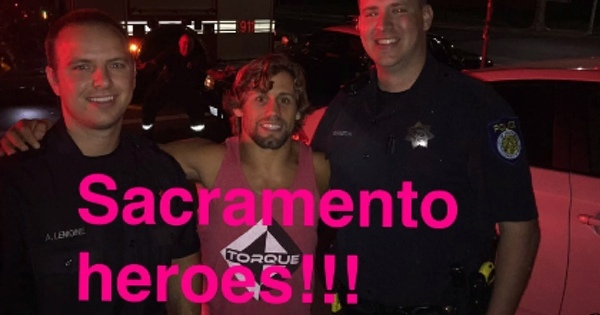 Faber was entertaining guests at his Sacramento home where he captured the entire event on Snapchat. The police eventually showed up and escorted the very stinky woman away. If there was one good thing from this tale, it was this: Faber made some new friends. Social media can be a real pit of despair. Stephanie Hernandez of Arkansas posted some pictures to Snapchat, Sept. 27, of her boyfriend Rafael Gonzalez in various poses holding a gun to her head. It wasn't long after that she was found dead of a gun shot wound. In one of the snaps, the gun is close to Hernandez's head. In another, Hernandez casually posted the phrase "Strap Chat" over the pic—referencing the slang term that means you're carrying a gun. Hours later, Hernandez was dead. The 21-year-old mother of two young girls was discovered with a gunshot wound. According to the New York Daily News, police found the house "ransacked, with blood all over the floor." Gonzalez was arrested on Monday. According to Arkansas's KARK, the 20-year-old was charged with murdering his girlfriend, is being held without bond, and faces an initial hearing on Tuesday morning. Be nice to each other, people. Snapchat wants to undermine the very foundation on which it was built. And it will probably be really successful. The temporary messaging app received its most recent update Sept. 15 and it included a wealth of new features like new interactive filters called Lenses and achievable Trophies. It also included something called Paid Replays which, as described by Business Insider, will really open up the platform. Now, Snapchat users will be allowed to replay more snaps, but it will cost them. They'll be able to purchase three replays for $.99 to use whenever they want, but they can't use them to replay the same snap over and over again. "We introduced Replay in Additional Services almost two years ago, and we've used it to relive those amazing moments (or the ones we weren't paying attention to...) just one more time before they disappear," Snapchat writes on its company blog. "We've provided one Replay per Snapchatter per day, sometimes frustrating the millions of Snapchatters who receive many daily Snaps deserving of a Replay. But then we realized — a Replay is like a compliment! So why stop at just one?" It's an interesting move for the company that has grown enormously over the past year. Although the app's popularity began with teenagers hiding their maybe illicit messages from the prying of their parents, it has quickly grown to encompass a whole host of news services offering live updates and information. Snapchat has also been trying to figure out how best to make money. Hence the microtransaction that has helped mostly mobile games like Candy Crush stay very much afloat. So, what do you think? Will you pay a buck to see them snaps again? Elski Felson wants a job at Snapchat, but instead of submitting a traditional resume, he created one using the app. He then goes through the requirements (presumably for this Community Support Specialistposition) line by line to prove his worth. Watch him demonstrate that he is and expert spreadsheet wizard, multi-tasker and ugly selfie sender among the other qualifications listed on the page. Well hopefully Snapchat will catch wind of the video and at least grant him an interview for putting in all the extra effort. Someone get this guy a job in IT! Jeremy Hernandez told his grandfather that his computer was frozen, and he had the perfect solution.